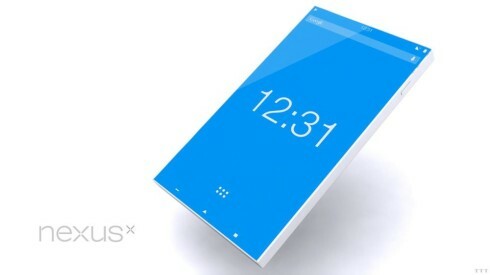 Well, here’s a new smartphone concept to get you through the holidays, the Nexus X model. This device is supposed to be a premium unit, one that’s rendered in 3D by TheTechnoToast user from Deviantart. This high end smartphone render has specs that would make 2016 handsets cry. Nexus X is made from a single piece of matte stainless steel and comes with chamfered edges around. It also comes with a 3.2 GHz octa core Qualcomm Snapdragon 2000 CPU, as well as 6 GB of RAM, that not even my personal has right now. There’s a 6.5 inch 4K display with Super AMOLED panel here, leading me to believe this is a Samsung at heart. The screen is covered with scratch proof Sapphire Crystal and we’ve got Android 4.5 as the OS with 3 options: Stock Android, a skinned version or rooted with CyanogenMod. There’s a touch sensitive volume slider on the left side of the device, that lights up and vibrates when touched. At the back there’s a monster 30 megapixel 8K camera, that even film makers would like to have on their side.